Learning to accept God's love isn't easy, but Tracy Williamson's own testimony will help you overcome your own past hurts and pains. An honest and sensitive blend of biblical teaching and personal testimony which helps people experience the reality of God the Father's love for them in a deep way. There is a growing epidemic of fatherlessness in society today, with more and more people experiencing crippling wounds through their childhood experiences. The Father heart of God longs to heal these wounds and bring joy and freedom in their place. But how do we learn to trust and love a heavenly Father when we have been hurt by our earthly fathers? Tracy Williamson honestly shares the insights and lessons she has learnt on her journey as she has allowed God to free her from deep childhood hurts, into the revelation that she is a beloved daughter of Father God. With a unique mix of practical teaching, personal stories, poems, prophecies and questions for reflection this is a life-changing resource for all who carry the wounds of rejection. Tracy helps readers understand God's love for them, and how they can grow in their relationship with him and be a channel of his love to others. Reflection points throughout each chapter allow the reader to take time to pray through and apply lessons learned, gently allowing their hearts to be opened to the Father's deep affection for them. The Father's Kiss by Tracy Williamson was published by Authentic Media in September 2018 and is our 4275th best seller. The ISBN for The Father's Kiss is 9781780789880. This is such a God inspired book that communicates the Father love of God in such a tangible way. I know this book is going to be a life changer for many, I can bear personal testimony to that!Many of us have deep father wounds so how do we trust our Heavenly Father when we’ve been so let down by our earthly one. Tracy shares her personal testimony of God releasing her from her childhood hurts and rejection into a place of freedom. Through a mix of teaching and stories with questions and prayers to help you pause and reflect on your own journey with God this book will help you to grow in your understanding of God’s complete love for you. This is an honest an open book that tackles a painful subject in a sensitive way, I felt God speaking to me through its pages. I can’t recommend it highly enough. In today’s world, so many of us have not known, for one reason or another, what it means to have the love of an earthly father. When this is the case, it then makes it very difficult to relate to God as a loving Heavenly Father. 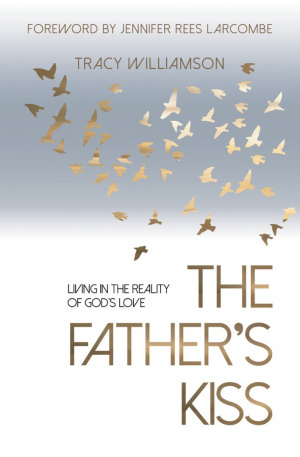 Tracy addresses this in her book, “The Father’s Kiss - Living in the Reality of God's Love”. Tracy knows from personal experience what it is like to be hurt by a Father and over the years God has been taking her on a journey to knowing she is his beloved daughter and teaching her to really know him as Father. She is passionate for everyone to experience the joy of knowing they are truly loved by God who longs to be a Father to them. Her heart is for God to draw us all into a deeper relationship with him as Father, and for all to receive comfort and healing from past hurts. In her first two chapters, Tracy honestly and openly shares her testimony about a difficult time in her life when she realised God was pursuing her, even before she really knew anything him. I found both these chapters incredibly moving. It is her authenticity in her writing which helped me as a reader connect to what she has written. The fact that Tracy shares her struggles and past hurts will also help readers to connect with her. They will see she understands because she has been there too. Her book gives hope to the reader that they can move on from where they are, to the love and freedom found in Christ. In her book, Tracy provides insight and teaching from Scripture as it relates to God’s love for each of us. I loved the way she opened up Scripture in such a way that there was often something new for me to grasp or think about. Her book is full of examples taken from the men and women of the Bible. She makes what she writes relevant by the inclusion of her own personal experiences and the experiences of others. These examples are so encouraging as they show that God knows, cares and loves each one of us. Scattered throughout her book are words of prophecy, these are encouraging and healing and it is clear they come from someone who is in tune with God and ready to share what God places on their heart. She may be physically deaf and partially sighted, but it is clear to me that this is no hindrance to her spiritual hearing and spiritual insight. Tracy has included opportunities to take time out from reading to “pause and reflect” on what has just been read. I would encourage anyone who reads her book to take advantage of these and do just that – pause and reflect – as it is these moments which help us to engage with the book, rather than just read it. It is through engaging with the book in this way that we can process our thoughts and feelings and this will draw us into deeper intimacy with our Father. I have never had difficulty relating to God as Father, but what I did find as I read this book was a growing desire to know God more intimately, to go deeper in my relationship with him. It has ignited in me a desire for the same depth of relationship that Tracy obviously enjoys with God. To be so conscious of his presence with and around me. To hear his voice at any moment and in any way which he may choose to speak to me. And to speak his words of love to those who so need to know his love. 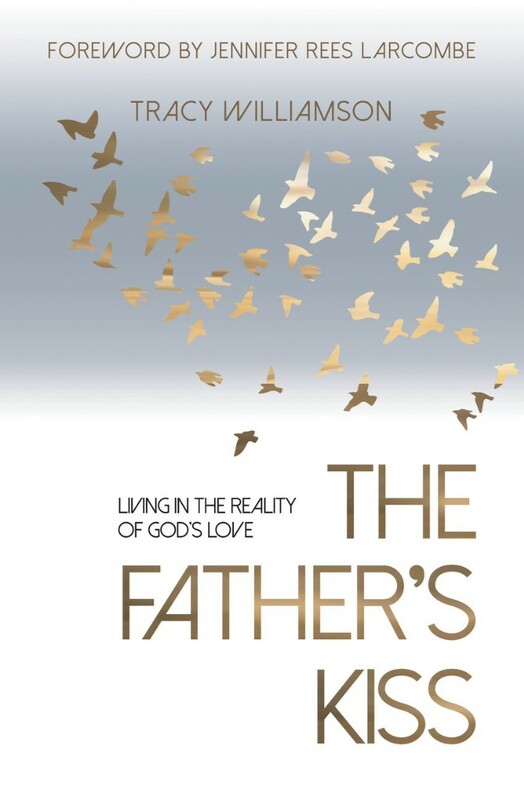 If you have never known God as your loving Father, if you struggle to believe it or if you want to draw closer to God your Father than this book is for you. Take a peek at some articles related to The Father's Kiss. Got a question? No problem! Just click here to ask us about The Father's Kiss.